A new 403 error page will display to users who don't have access to a page such as, but not limited to, accessing a direct task details URL, if they’re not an assignee. All roles, except Officer role, can edit their own sent messages. 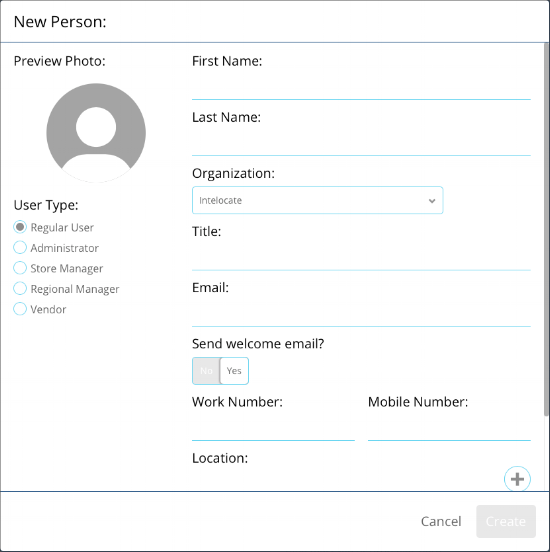 A user with administrator role can edit any roles’ messages. Once a message is edited, it will display “Edited” beside the timestamp. On the new user profile creation page, an administrator can now decide if a welcome email, containing password creation link, should be sent out to the new user. In the Category Builder, administrators are now empowered to determine when forgotten tasks notifications should be sent out. As a reminder, this notification only applies to unchanged statuses in In Progress, Overdue, and Pending Approval. We have updated the sort and filter list in a cross-organization setting. Previously, all category names were clumped together that belonged to different organizations. With this update, category names are now grouped by organization names. We have included some improvements to task notifications in a cross-organization setting. If a task’s start date is present, task chat notifications will only be sent out to assignees if the start date is equal to or before the system date. Saved sub-locations names can now be modified in the Sub-locations sub-tab by selecting the 3-dot icon. Deleting an attachment from the attachment sub-tab will no longer delete an entire message group in a task chat. Overall status field will no longer get stuck in “Overdue” if the End Date is changed to a future date. Instead, it will go back to the previous status. Updated how the address field is managed if a country name is not present.